The Early Intervention Section (EIS) is a federal and state-mandated program that provides services to support the development of infant and toddlers from birth to three years of age. Information and support are also provided to parents to increase their knowledge about and ability to support their child's development. Provides information and education about topics in genetics. Administers grants related to genetics. Does research on clinical and public health genetics topics. Develops public policy surrounding genetics. State Genetics CoordinatorSylvia Au, M.S., C.G.C. The Arc in Hawaii is committed to helping Hawaii's people. The Hawaii Down Syndrome Congress was established in April of 1985 and is affiliated with the National Down Syndrome Congress and the National Down Syndrome Society. They are a Non-profit organization of families and professionals. They have members in the Hawaiian Islands, and the Pacific Basin, and are presently serving over 190 families. 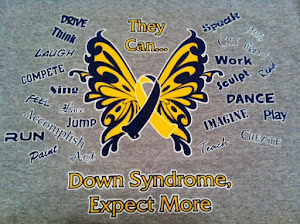 Their mission is to foster self advocacy and self confidence in persons with Down syndrome and their families. They are building a sense of community and fellowship for all persons concerned with Down Syndrome. They provide the latest updates and research to parents and professionals throughout the Hawaiian Islands. Down syndrome Ohana of Hawaii is a group of families joined together to support all individuals with Down syndrome in the home, school, and community life.